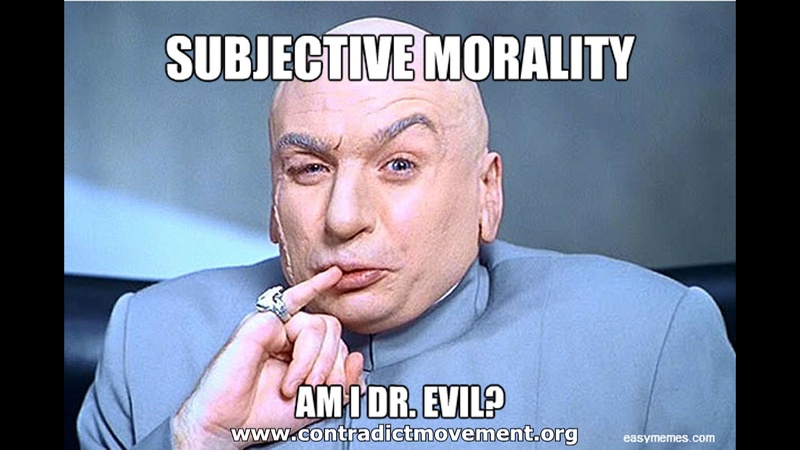 Subjective Morality – What is evil? What is good? If morality is subjective, everyone would have their own opinion of what is good and what is evil. The only possible absolute standard of morality is an eternal, good, and unchanging God. To have an absolute, objective standard of morality we must appeal to a standard above man. God is that standard and he has revealed that standard to us in Scripture. His Law is also written on our hearts. Most atheists argue that there are objective standards that are derived from societal standards. Societal standards however are not absolute. The consensus changes in each society and every society around the world won’t have the same consensus. And technically, such a standard shouldn’t be considered objective, but subjective.